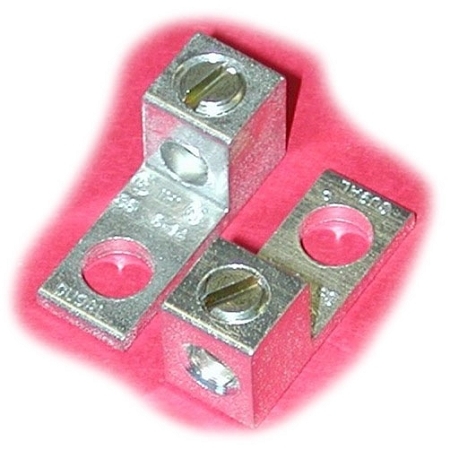 Aluminum Lugs we often use to connect wires to our motors, circuit breakers, fuses, ampere meters, and batteries. "S6" 6-14 AWG wire range, 3/8" wide, 1 barrel, aluminum or copper wire, CU9AL, 90C temperature rating, one mounting hole , UL Listed, CSA Certified. 1/4" dia. mounting bolt hole.